The Transit Custom boasts class-leading flexibility and safety while occupying the middle bracket in Ford’s wider range of Transit vans. Packed with technology and a favourite amongst British businesses, the Transit Custom is available as a panel van, double cab and minibus. And with short- and long-wheelbase models on offer, the load capacity and seating can be scaled to suit the needs of buyers. With modern styling and an aesthetic appearance that is consistent with a number of Ford’s other vans and cars, the Transit Custom has never looked better. And there are a lot of practical benefits to design decisions made by Ford’s engineers. Payloads of between 643kg and 1507kg can be transported by the current Transit Custom range, with interior load heights ranging from 1406mm to 1778mm on the extended roof model. In terms of cargo volume, the SWB model has six cubic metres, while the LWB alternative increases this to 6.8 cubic metres. A full-height bulkhead is included as standard, while a load-through storage solution means longer items can be stowed safely even if they measure up to three metres, which is a smart addition to the Transit Custom’s capabilities. Seating for one or two passengers can be specified on the standard van, with the double cab variant adding an extra row for three additional passengers in the rear. The Kombi minibus comes with a total of three rows of seating, with the rear two rows being fully foldable so that the load volume can be increased if fewer passengers are going to be on board. With a 2.2 litre TDCi engine under the bonnet and a trio of power levels to select, efficiency and impressive torque go hand in hand. Ford also includes a number of its ECOnetic technologies on the latest Transit Custom, with things like engine stop-start functionality meaning that fuel use is much lower than you might expect, while compliance with Euro 5 emissions standards is also assured. The van will even provide the driver with an indication of the optimal time to change gear in order to conserve fuel further, while the optional acceleration control function means that consumption can fall by a maximum of 15 per cent on top of the existing savings. All of this, coupled with the presence of parking sensors and a reversing camera on some models, means that the Transit Custom is an easier and more relaxing van to drive than its predecessors and rivals. Vans are getting smarter by the year, with the current generation of the Transit Custom offering various driver assists which improve safety, including lane-departure warnings. It is even possible to detect changes in driver behaviour which suggest that they are overtired, allowing the van to recommend that the driver takes a break to avoid the dangers of being fatigued while behind the wheel. Hill-start assist, traction control and electronic brake force distribution are also featured on modern Transit Custom vans. So it is easy to see why it achieved a Euro NCAP rating of five stars and set a precedent that other light commercial vehicles have since followed. Taking the press by surprise, Ford revealed their new Transit Custom alongside the new Transit Connect in September 2012. A brand new van in a brand new segment for Ford sees the 'Transit' brand split in two. Some eighteen months after initial reveal, the Transit Custom made its way onto UK roads. The first sold was to a window cleaner in January 2013! After 6,000 sales int he first nine months in the UK, Ford bring out the high roof version of the Transit Custom. Original extra cost when new? £500 more than the standard roof. Only available in a 155PS, 2.2 litre 2900gvw SWB guise, the Custom Sport Van continues the tradition started in 2007 with 'GT'-style stripes, 18" alloys and leather interior. 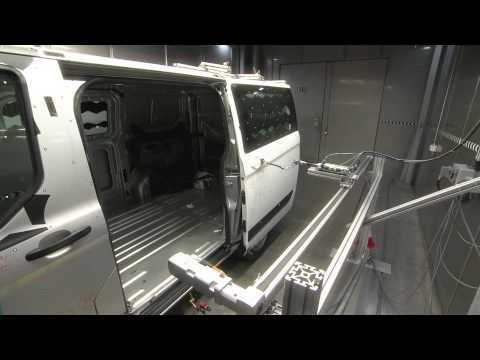 The testing programme for the Ford Transit Custom. Ford took no prisoners when designing the Custom from the ground up, efficiency, safety and even how reliably the doors would close! 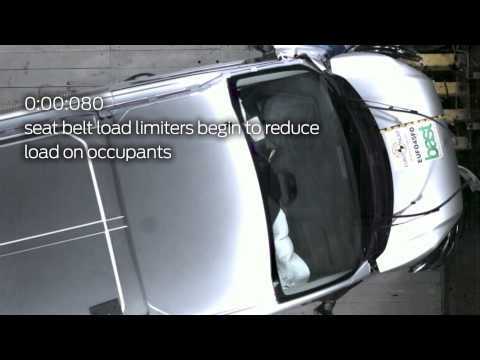 Great video from Ford showing the new features of the Transit Custom, including the door stops and the load through under the passenger seat. Check out the number of buttons on the Transit Custom steering wheel! 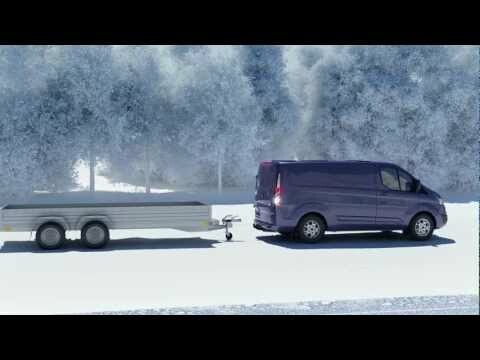 Ford Transit Custom Drivetrain - Great Image! Check out the load-through hatch on the Transit Custom - great innovation.